In honor of Breast Cancer Awareness day at the ballpark, the Sea Dogs will be wearing specially designed pink jerseys. Fans are also encouraged to wear pink to the park. More than 40 colleges are expected to attend the Sea Dogs annual College & Trades Fair from 3:00-5:00 PM on May 8th. Students are eligible to receive two free tickets to the Sea Dogs game that night to attend the fair. In honor of the 35th anniversary of her Olympic Gold Medal, on May 15th the first 1,000 fans to enter the ballpark will receive a Joan Benoit Samuelson bobblehead. Join us for our first fantastic fireworks show, made possible by U.S. Cellular, on Friday, May 24th when the Sea Dogs host the Altoona Curve at 6:00 PM. The Portland Sea Dogs have unveiled new menu items that will be available at Hadlock Field in 2019. New items that will be available include Lobster Popcorn and the Fried Dough Burger. Additionally, the Sea Dogs have announced the creation of Foodie Friday's at the ballpark. The Portland Sea Dogs are changing their name…for one night anyway. The Sea Dogs will become the Maine Whoopie Pies, presented by Trademark Federal Credit Union, on Friday, June 21st when they host the Reading Fightin Phils at 7:00 PM at Hadlock Field. The name change is in celebration of the official state treat of Maine: the whoopie pie! The Portland Sea Dogs in conjunction with Pride Portland! will host Pride Night at the Ballpark on Saturday, June 8th when the Sea Dogs host the Bowie Baysox at 6:00 PM at Hadlock Field. Sea Dogs fans, watch the Red Sox Stars of Tomorrow Today® with MiLB.TV. With all games - both home and road - streamed live, the only place to watch the Sea Dogs on your phone or computer is on MiLB.TV. Use promo code SEADOGS at check out to save $10 on a yearly subscription. Registration is now open for the 19th annual Mother's Day 5K road race, presented by Intermed. The race benefits Maine breast cancer patients and research. Join the Kids Club- It's FREE! Take your dog out to the ballgame! Do you know a Mainer who is helping to make Maine a great place to live and work? 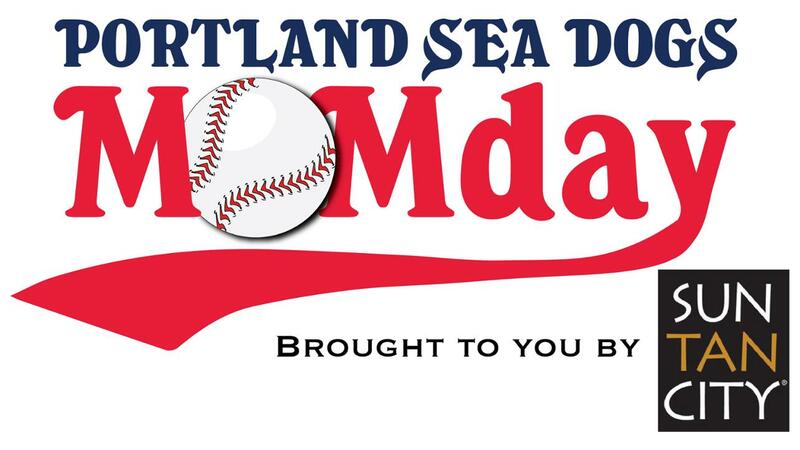 Nominate them for the Sea Dogs Mainer Monday series. Mom's get in free every Monday with a MOMday Coupon and the purchase of a child's general admission ticket. Time to nominate a teacher!